With a skills-based approach and international focus, this coursebook promotes a deeper understanding of the Arabic language and culture. 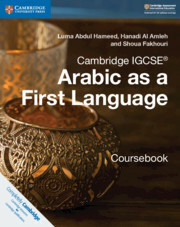 Engaging texts and activities, built around the learning objectives, develop critical thinking and support students through the Cambridge IGCSE® Arabic as a First Language course. 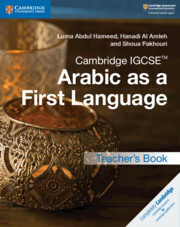 Engaging activities help the students acquire the desired skills in a practical way.